How does an ankle fracture differ from a break? Determining the difference between a fracture vs. a break in your ankle is actually quite simple: there isn’t one. “Fracture” is the medical term that describes a bone that is no longer intact—some part of it is broken. The break may cut all the way through the bone, or it may be more like a crack in the tissue. It may be displaced, meaning the ends of the bone have been moved out of position, or non-displaced, in which they remain aligned. A non-displaced fracture is easy to treat. The ankle needs to be immobilized and rested for several weeks. A displaced broken ankle, however, will have to be re-aligned in order to heal correctly. Severe fractures may actually require surgery. 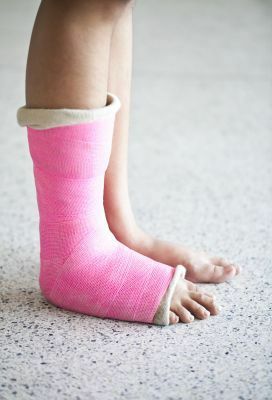 If you’re concerned about an ankle injury, whether you call the problem a “break” or a “fracture,” you need to take care of the damage promptly to heal well. Let our team at Martin Foot and Ankle know about it and see how we can help. Call (717) 757-3537 or send us an online request to make an appointment at our York, Hanover, Lancaster and Lititz PA offices.